We wouldn't doubt it for a second. 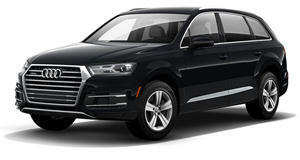 Even in its new form, the Audi Q7 is not a small vehicle. That's fine, as anyone wanting a smaller Audi has practically the entire rest of the brand's lineup to choose from. But Audi clearly wants to put forth a sportier image with this vehicle, as evidenced by the much more car-like design. So this new promotional video leans pretty heavily on imagery, which will have you associating the car with lightness and excellent handling. As transparent an effort as this is, there is probably some merit to it. Audi is big on the idea of aluminum construction, and its bigger vehicles always do tend to be lighter than you'd expect.